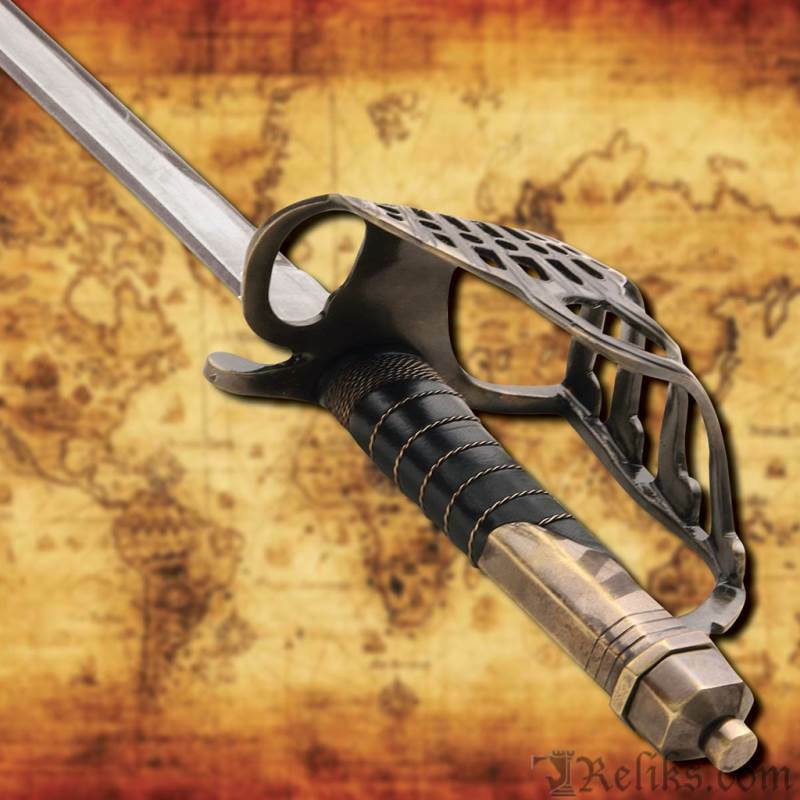 This sword stops at nothing less than remarkable. 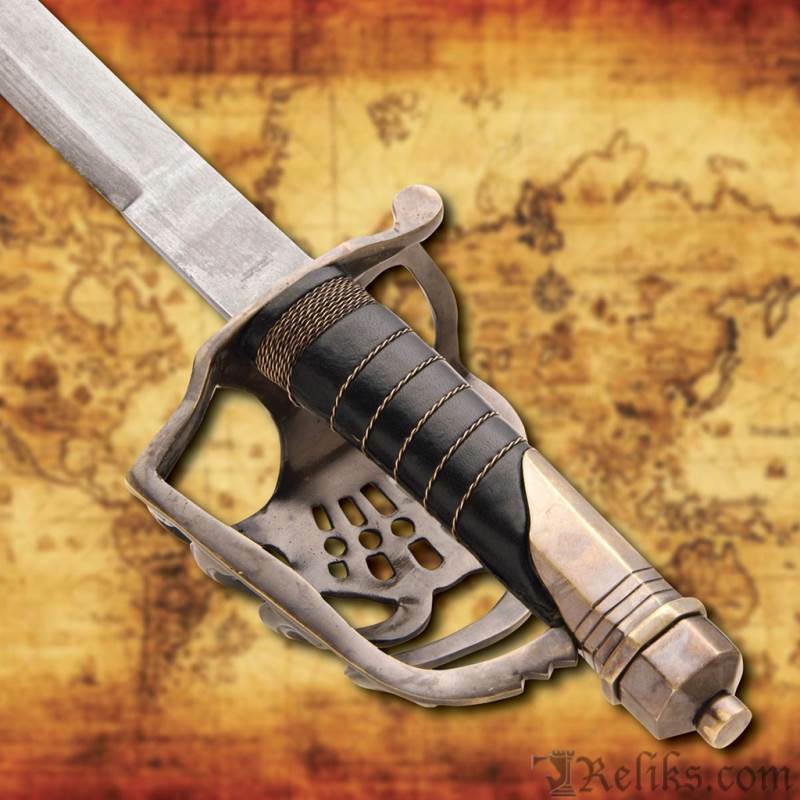 It is a truly unique sword meant for a pirate captain. 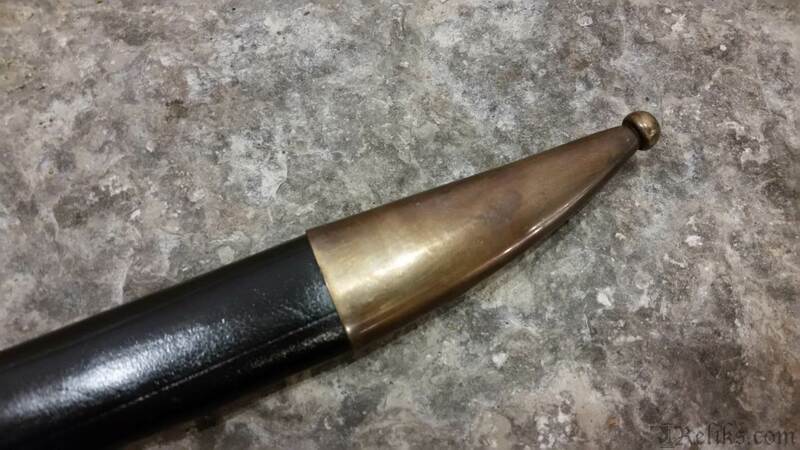 As luxurious as pirates gold this treasure has been crafted by master artisans and craftsman at Windlass Steelcrafts. 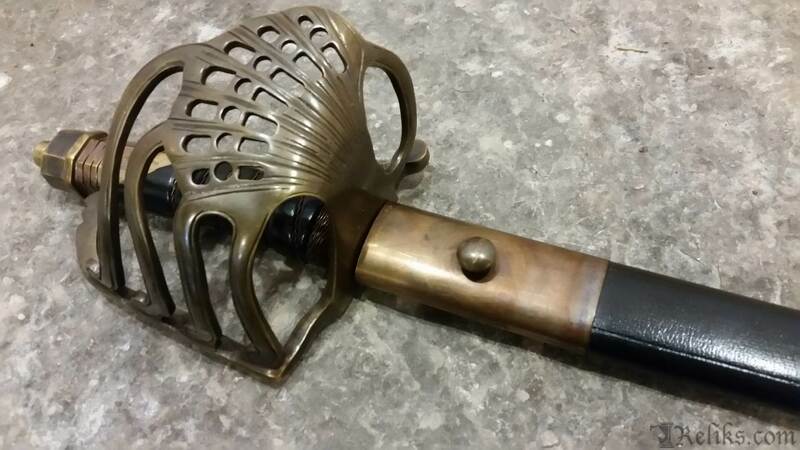 The seashell inspired guard showcases their ability in this nautical themed sword adding both protection to the wielders hand as well as showing off the captain and crews success with its beauty and antiqued gold finish. 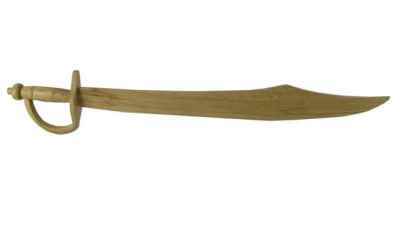 The handle is made from a hardwood and wrapped in a soft leather for comfort and grip with an antiqued twisted wire wrapped detailing. 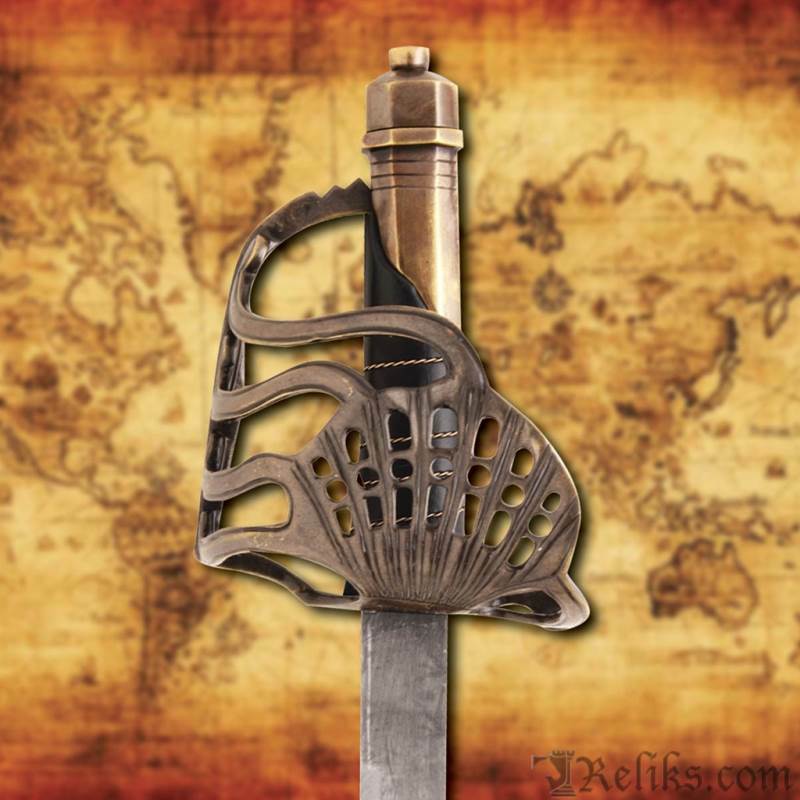 The scabbard is made from a durable leather and the scabbard fittings are done in matching antiqued gold complimenting the entire sword as a whole. 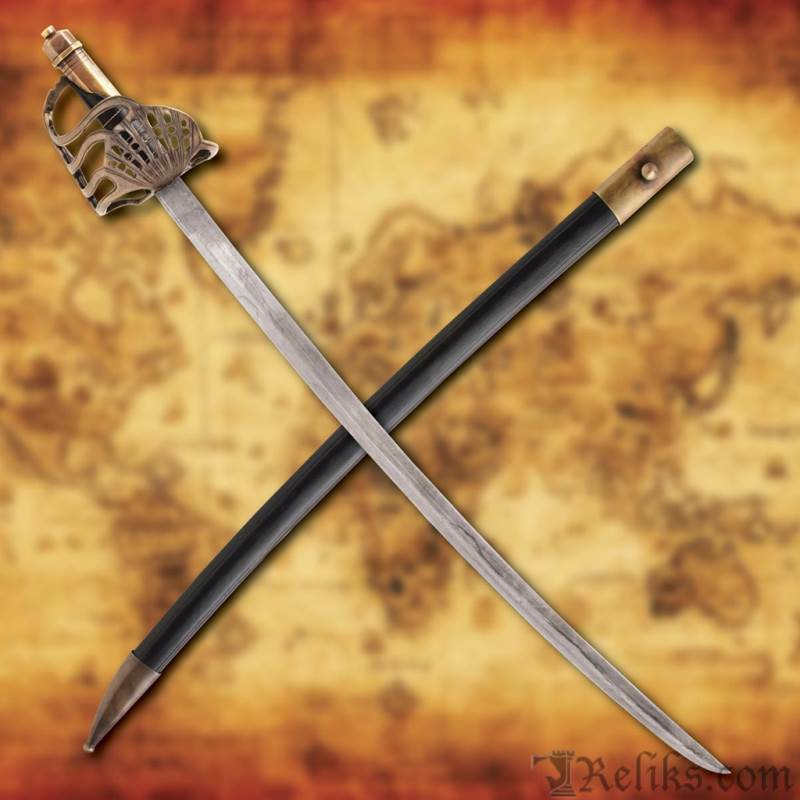 The real magnificent part about the Golden Coast cutlass is not just its ornate details; it is in it's performance. 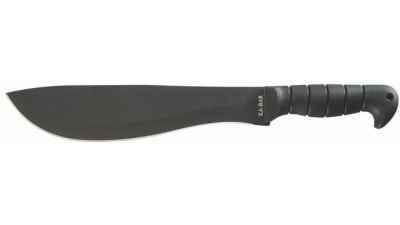 The cutlass is build with a forged 1065 high carbon steel blade by professional sword smiths. 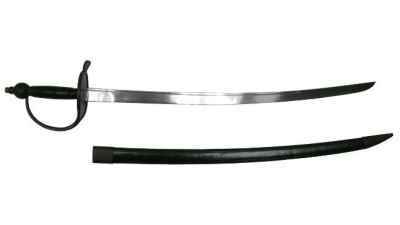 It has a proper temper to ensure the blade can flex under high stress and impact which is paramount in a cutting sword. 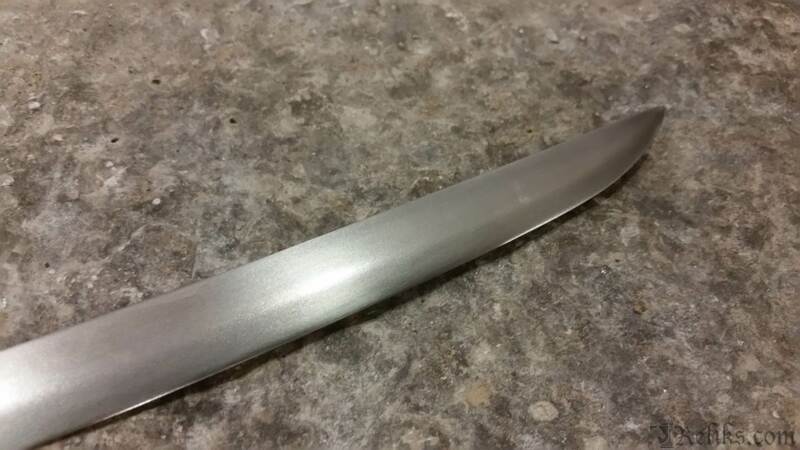 Capable of holding a very sharp edge with our optional sharpening service this cutlass can deliver powerful slashes and make short work of sword targets. 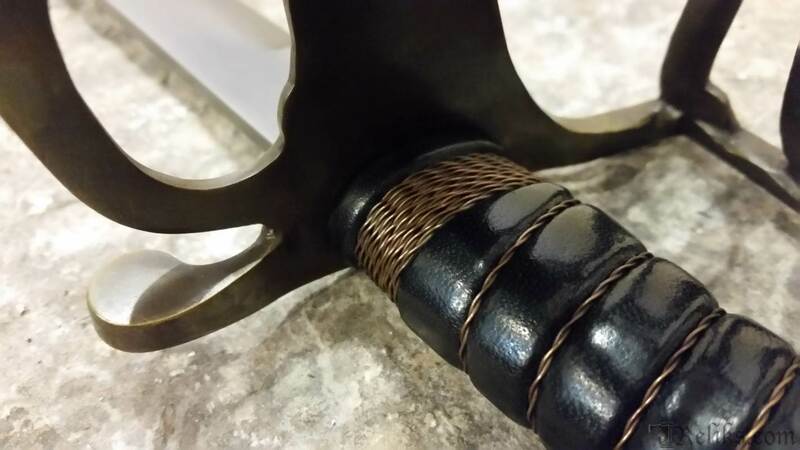 To keep with the antiqued theme the blade is given a distressed look making the entire sword look aged. 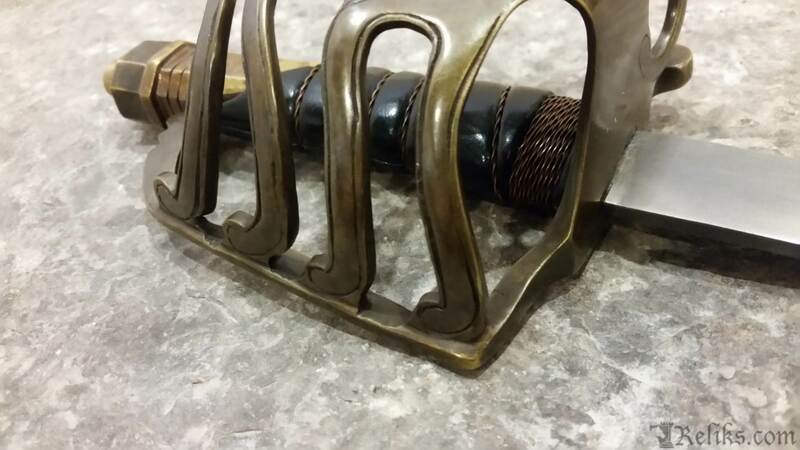 The Golden Coast Cutlass By Windlass Steelcrafts - This is an incredible cutlass loaded with exciting nautical inspired details. 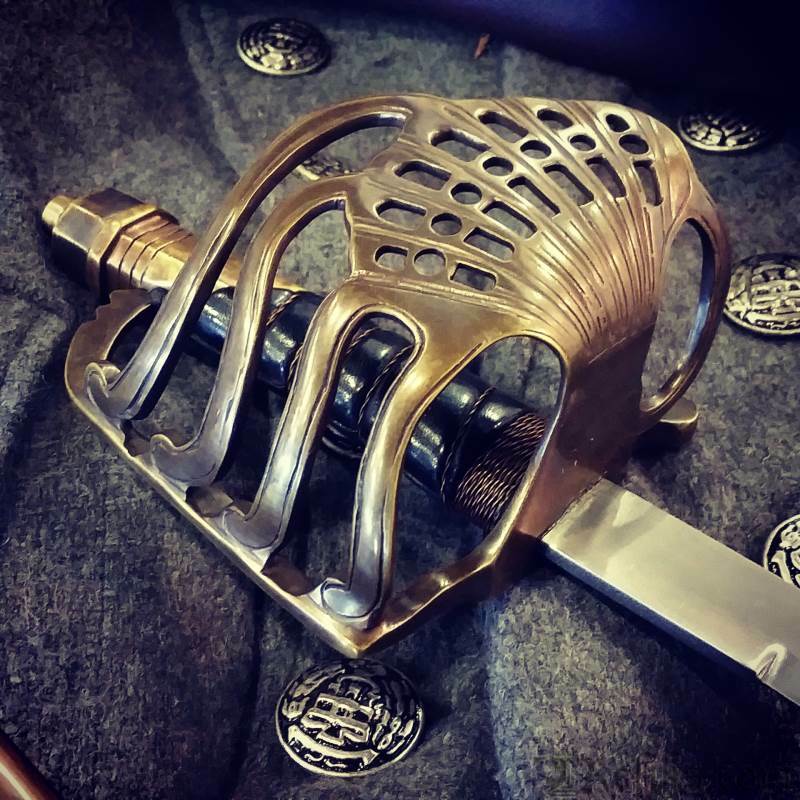 Scabbard And Hilt - The scabbard is made from a durable leather and fitted with a matching antiqued brass collar with frog stud. 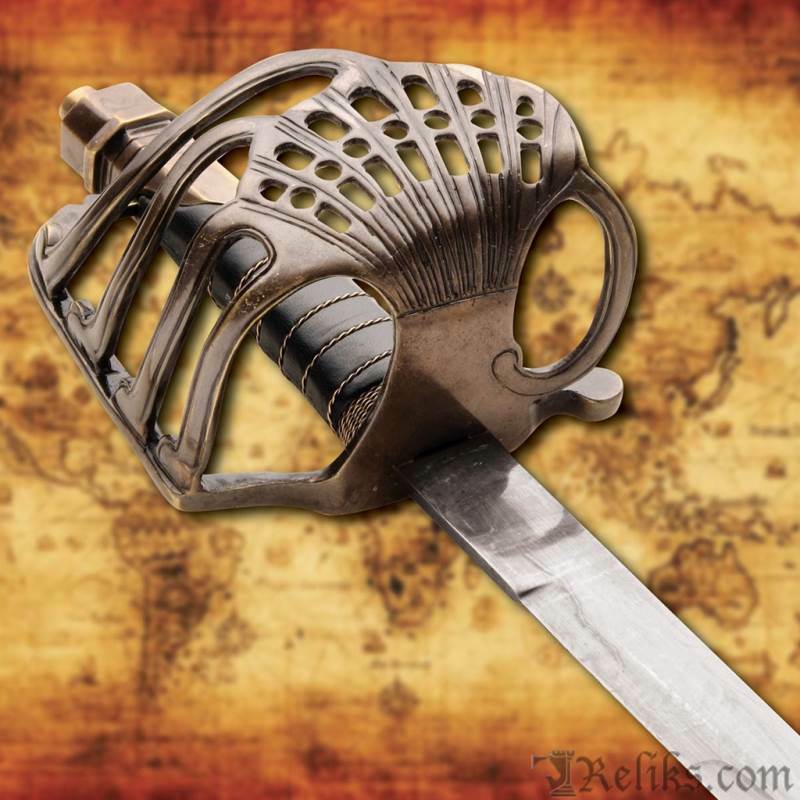 The Sword Basket - The basket is finished in a nautical theme with a "sea shell" pattern in the scroll work. 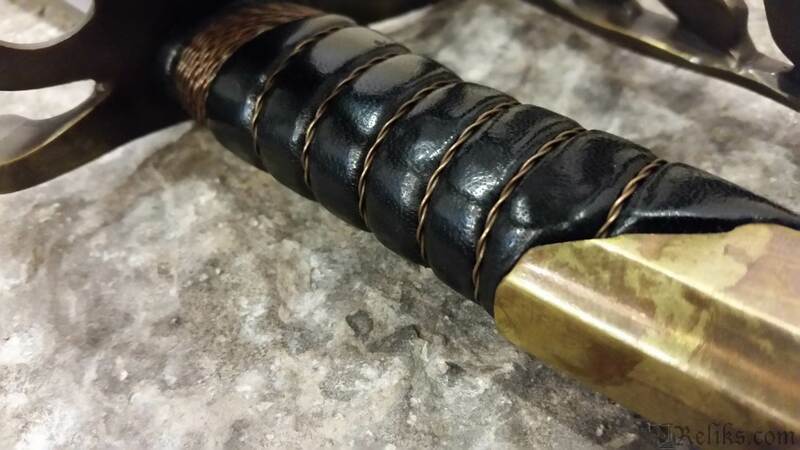 Wire And Leather Grip - The grip is made from wood then wrapped in leather and finished with twisted wire detailing. 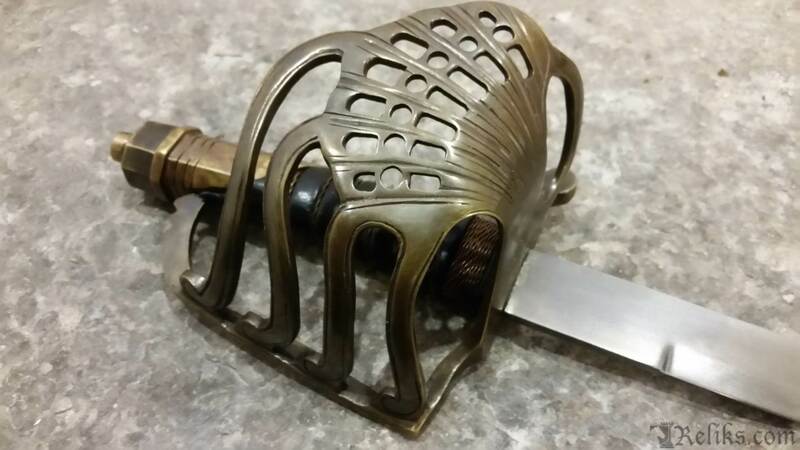 Button Pommel - The pommel is affixed to the tang than is fastened with a button directly to threading on the tang itself.